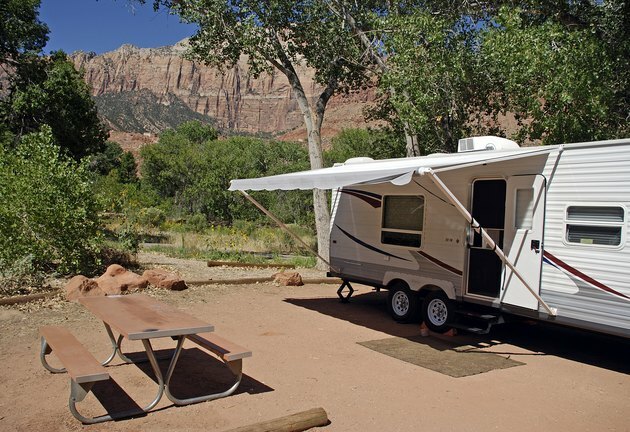 While living in a mobile home offers benefits that other types of homes don't, it can also present unique challenges on occasion. For instance, animals often manage to set up housekeeping beneath your living space. The smell, noise and activity created by these invading marauders can be disturbing to occupants and pets that belong in the home. To keep critters from settling under your mobile home, you must be vigilant and prevent them from entering the space in the first place. Mobile home next to a picnic table. While eliminating the annoyance factor created by unwanted animals under your mobile home is crucial, it's also important to protect your home from the potential damage that critters can cause. Animals that create a home beneath yours may cause odors that emanate from their feces or from their decomposing bodies when they expire in the space. The animals may also chew through wiring that runs under the home or dig out the insulation to create a nest for themselves. Smaller critters like snakes and rats may even find a way to enter your living space from the area beneath the mobile home. Your first line of defense against unwanted animals is secure skirting that's in good repair. When a home is elevated above the ground, leaving access to the space below, it is an open invitation to animals looking for a cozy place to stay. Properly installed skirting denies them access. To ensure that your skirting is secure, install a top and bottom rail into which the skirting fits firmly. Cut the panels exactly to size and test the fit by pushing on them after installation to determine whether moderate force is able to dislodge them. Avoid attracting wayward critters to your home in the first place. Ensure that the lids of your outdoor garbage cans fit securely. If necessary, place bungee cords over the lids to prevent inventive animals from accessing the interior. Bag all trash before putting it in the cans and situate the cans away from the house. 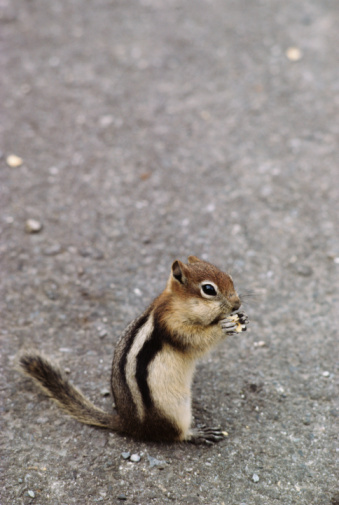 Clean up after picnics and cookouts to avoid leaving crumbs that attract hungry animals. If you have bird feeders, consider getting rid of them or placing them as far from the house as possible to avoid attracting other animals like squirrels and raccoons. While you may be tempted to place some kind of poison near or underneath the mobile home to eradicate the pests that root around there, avoid doing so. Family pets or children may come in contact with the poison and become sickened by it. In addition, if the animals eat the poison and die while underneath the house, you have yet another mess on your hands. If your situation has become dire and you've had no luck remedying it yourself, call an exterminator or animal control expert to seek help with removal of animals from underneath your home.